I am interested in your experience designing and building furniture, cabinets, etc. You might wonder, WHY? I would love to learn your experiences on HOW you visualize a project prior to start building it. The WHY, for me: I have to be able visualize a piece before I start building a project. I must visualize first, before determining if the project is something I want to do. This was the main reason for modeling the Krenov cabinet a short while back – before proceeding with my own design.Computer models make this visualization process much simpler than a simple sketch, as I can try several variations, until a model results in something I want to build, not something I build simply because I have to. And, if the project is for a client, the computer model and rendition also helps the client “see” the finished piece ahead of time; many cabinetmakers state that it is the rendered image that sold the design and, ultimately, a particular job. Is cabinet lighting something that will enhance the cabinet, and show off the contents? Would multiple lights be better, or a single light source in each cabinet? Are glazed doors with one or two mullions better for the job at hand? 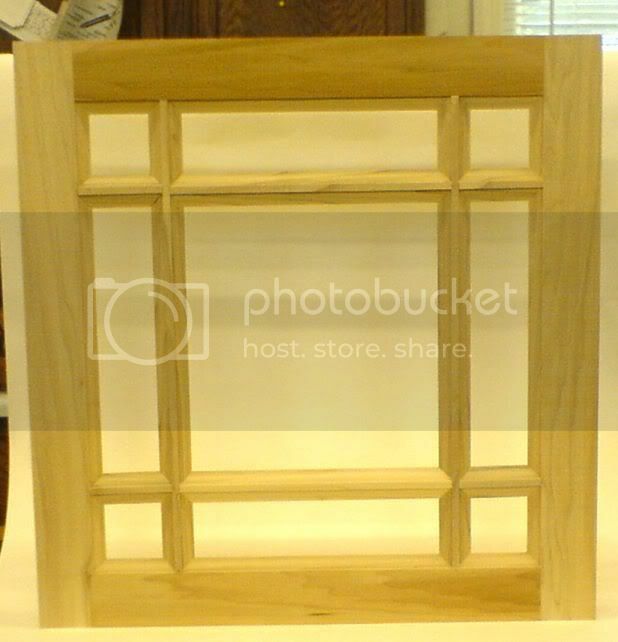 If the client (or if my wife) wants glazed cabinets, should I make them in-house, or order them online? Is it possible to not only look at the model, but also look at the door details? Hopefully, this model demonstrates that it IS possible to use computer-generated models to illustrate details, to help us make decisions in final design, or to make our spouse (Ultimate Client!) happy before the project is ever built. One advantage of a good computer-based cabinet design program is its ability to provide cut lists, which provide dimensions for each piece of wood, and from which individual cabinets and components are built to size. For example, for an entertainment center I designed, I wanted to learn the requirements of building glazed doors in-house, vs. buying them pre-made, ready to finish. From the design “sketch” I built the following door prototype, using poplar. This prototype is similar to the doors illustrated in the video above. I find computer models invaluable to design cabinets, entertainment centers, and just about anything I make. I would love to hear how YOU go about your concepts, designs, etc.